Hey dolls! Tonight I have photos for you of the Polished by KPT Paris & Me collection which was just released today. This nine piece collection features four thermals, two glitters, two holos, and one shimmer. Polished by KPT Belle Ami is described as a dark seductive brown burgundy with scattered holographic and purple undertones when cold and transitions to a charcoal gray color. This shade was a surprise front runner for me in this collection as I’m so into browns right now. The formula was good and applied evenly in three coats. The transition on Belle Ami is a perfect gradient. 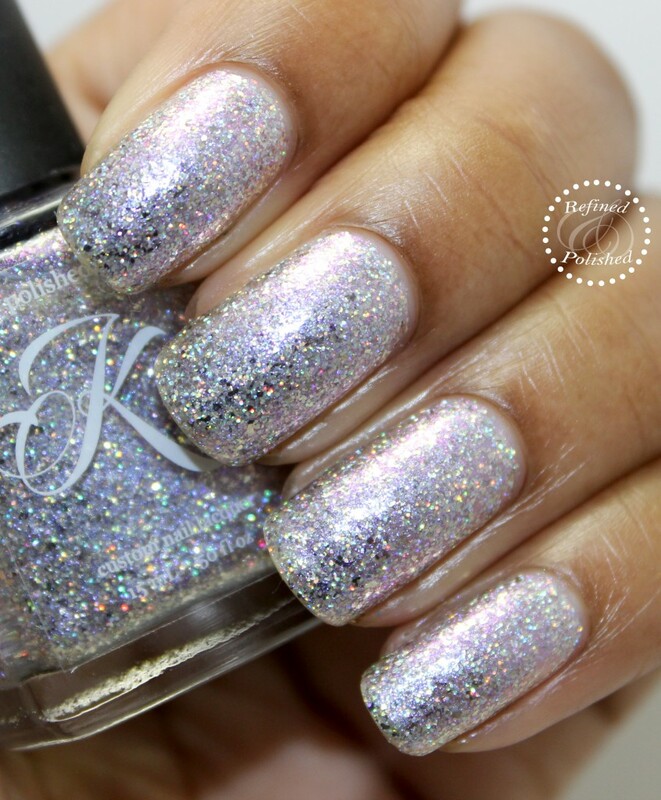 Polished by KPT Cloudy Days Go Away is described as a light gray cream with micro blue shimmers. I love how soft this shade is and I’m still wearing it as I type this post. The formula was sheer, but not runny. It did not drag as additional coats were added and three coats were for opacity. Polished by KPT Fall-O-You is described as a deep olive green with scattered holographic that transitions to a charcoal gray color. I have not worn an olive green in some time and Fall-O-You made me crave that shade. This shade of green reminds me of a pair of H&M cargo pants that I fell in love with over the weekend. The formula was good and it applied evenly in three coats. 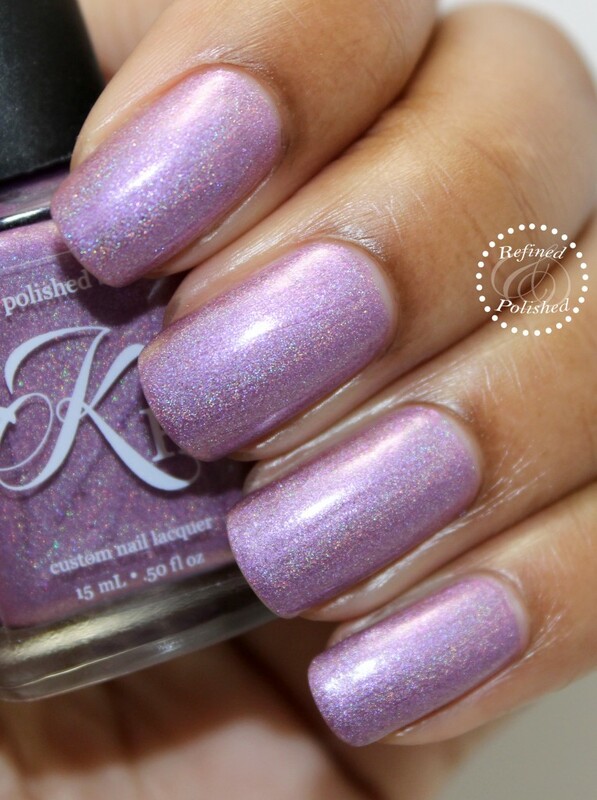 Polished by KPT Lady Roxane is described as a lilac with pink undertone and scattered holographic. This shade is so soft and subtle. The formula was thick, but in a good way. It applied effortlessly in two coats. 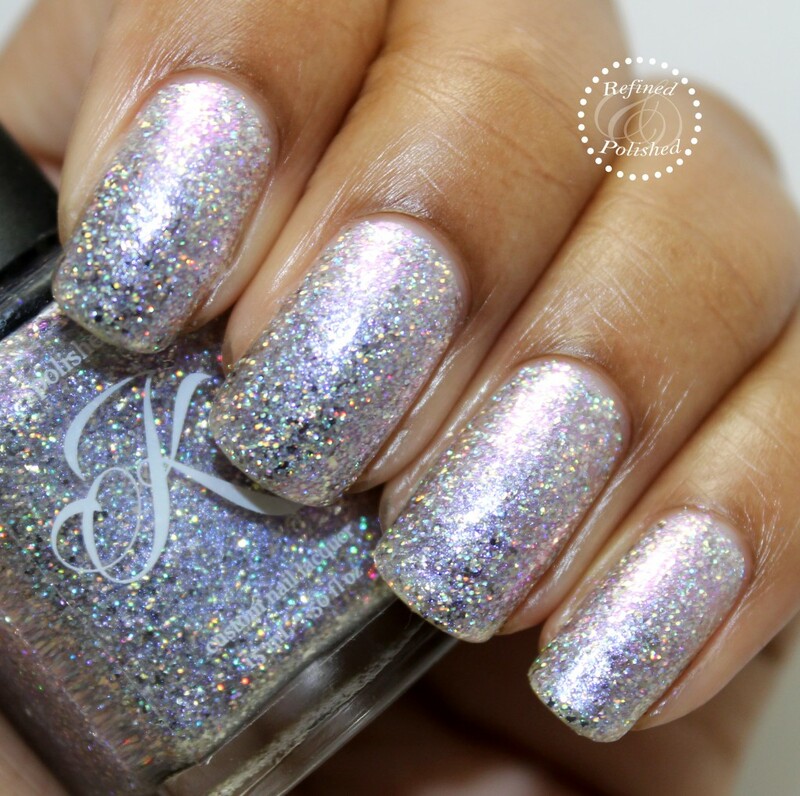 Polished by KPT Lumieres is described as: Glitters are made from a special formulated film for a much vivid rainbow holographic effect. This polish is also filled with violet and blue micro shimmers. This is such an intricate shade and the violet shimmer is so pretty! The jelly formula was thick and applied easily in three coats without dragging. You can still see a little bit of visible nail line, so some may prefer to layer Lumieres over a complimentary base. 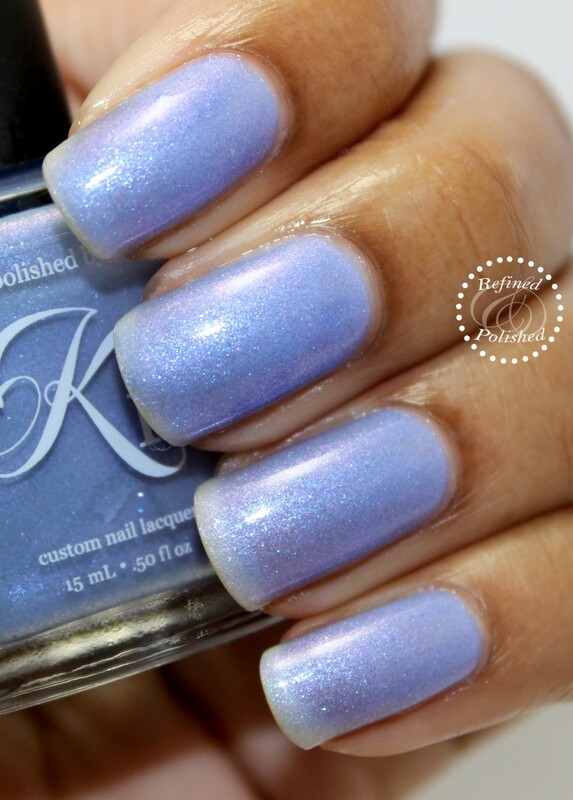 Polished by KPT Midnight Lust is described as a bright blue thermal base filled with micro purple and blue shimmers. I wore this shade for several days and the shimmer is so pretty. The formula was good and applied nicely in three coats. Midnight Lust was blue when cold and opal when warm. You’ll have to excuse the water on my hands in the photos below. I was apparently really cold when taking these photos, so my hands wouldn’t stay warm long enough to dry them appropriately. Polished by KPT Rouge-Lette in Love is described as a brick red and orange undertone with a violet shimmer and scattered holographic pearl finish without the streaking. This is my type of red. The orange undertones are just strong enough for my tastes. Rouge-Lette in Love’s formula was thick in a good way and applied effortlessly in two coats. Polished by KPT Same Fall Different Beginning is described as a unique tri-thermal shift from a deep plum when cold that shifts to a gorgeous cranberry in mid-transition with blue undertone. 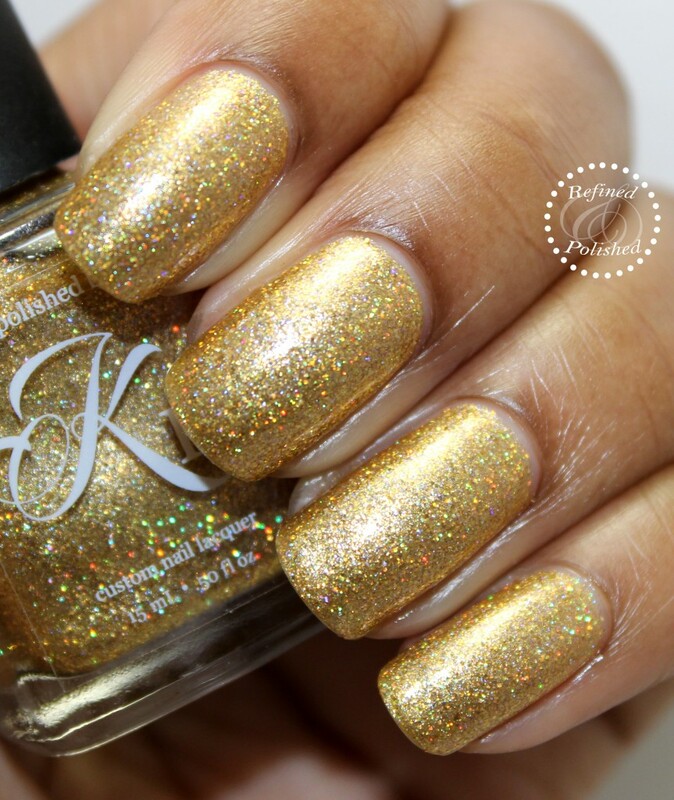 When warm, it dramatically changes to a sheer gold filled with micro gold and holographic and flakes. YES to this polish! The flakes are so pretty. The formula was good and opacity was achieved in three coats. 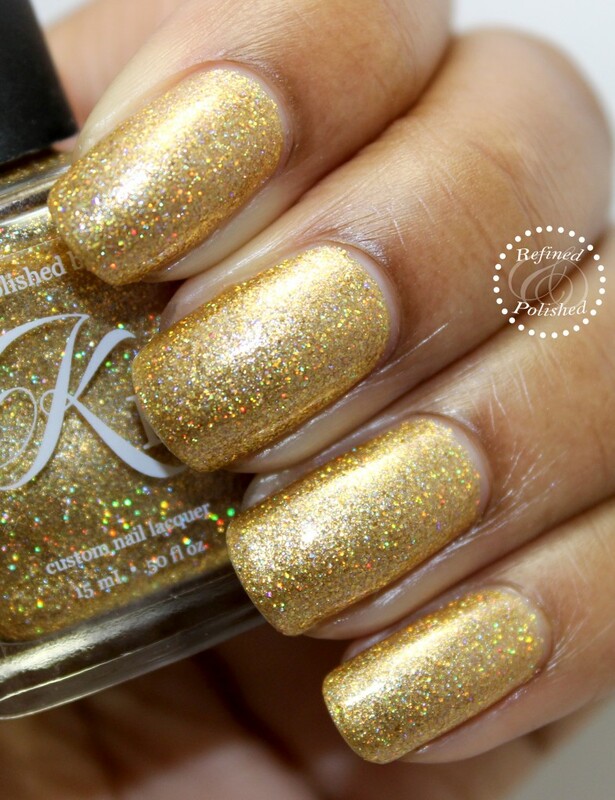 Polished by KPT Triomphe-nt Night is described as: in a sheer gold base, this stunning gold holographic glitter polish will shine the night away. The glitters are made from a special formulated film for a more vivid rainbow holographic effect. The jelly formula was sheer, but applied well without dragging. I ended up using four coats for the photos below and there’s still some visible nail line. Triomphe-nt Night would definitely work as a layer over a complimentary base. 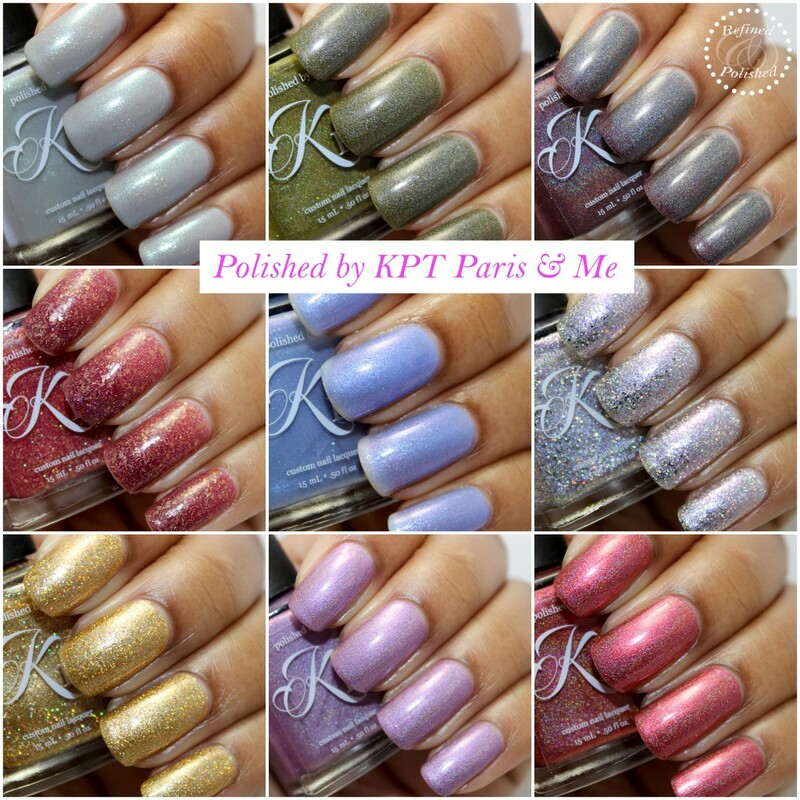 Overall, the Polished by KPT Paris & Me collection is a great one. It’s well-varied and should appeal to those who like a variety of finishes. This collection is available for pre-order here until 10.2.14 at 12a PST for $12 each. Pre-orders will ship the week of 10.15.14. Be sure to keep up with them on Facebook, Instagram, and Twitter for updates!